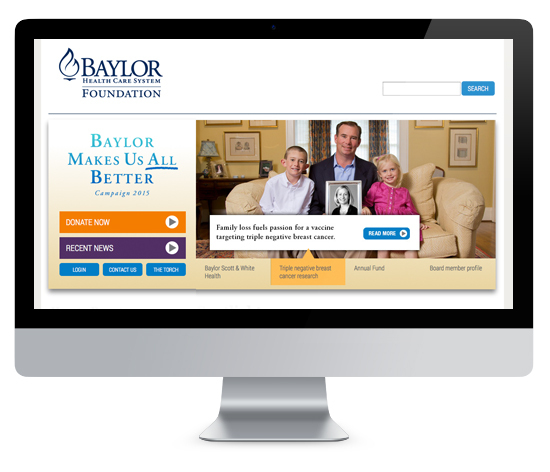 Baylor Health Care Foundation launched it’s 2013 Capital campaign with a spectacular live event for donors and company leadership. As the event approached, the organization realized their website needed to be updated to correspond to the campaign branding. The website, long overdue for design and content updates needed a fresh look and fresh content. 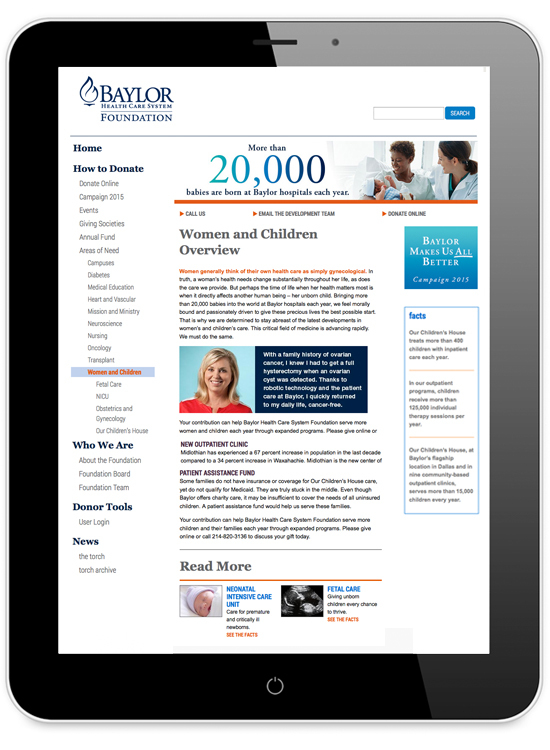 Working in conjunction with the BHCSF staff, Corrie led the re-organization of the site structure, coordinating new content development, creating fresh page designs, and working with a team of developers to execute the new design. The night of the event at the Wyly Theatre in the Dallas Arts District, the website went live, providing the Foundation an easy way to provide donors more information about the 250 million dollar campaign.